The fishing pier is now ice-free and the massive ice shelves on the beach have disappeared. Our local wintering Snowy Owl is probably not too thrilled about this. 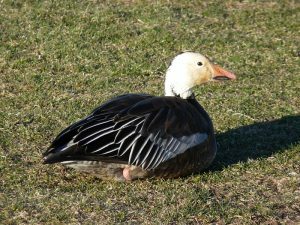 This entry was posted in Winter Bird Reports and tagged Cackling Goose, Great Black-backed Gull, Gulls, Waterfowl, White-winged Scoter on February 25, 2018 by rhughes. With morning temps in the teens and a wind chill even colder, today felt more like January than early March. I ended up with 23 species in about an hour and half of birding, highlighted by the continuing blue morph Snow Goose and White-winged Scoter, and a bonus adult Iceland Gull in the harbor. There were also good numbers of Red-breasted Mergansers in the harbor and in the lake just outside of the harbor mouth. I did not see the female Long-tailed Duck, which didn’t appear to be doing well when last seen. Link to my eBird checklist below. This entry was posted in Spring Bird Reports and tagged Gulls, Iceland Gull, Snow Goose, Waterfowl, White-winged Scoter on March 11, 2017 by rhughes. Montrose was surprisingly birdy this morning, November 8, with several unexpected finds. I ended up with 35 species in about 1.5 hours of birding, which isn’t too shabby considering the date. Best were a Cattle Egret and 5 Franklin’s Gulls. The egret was flying around the beach and Dunes early in the morning. I think it landed briefly on the beach, but was flying north over Lake Michigan the last time I saw it. Cattle Egret is an unusual bird for Montrose; we don’t see them every year. This has been a good fall for them in the upper Midwest, so maybe this sighting shouldn’t have been surprising. Three of the 5 Franklin’s Gulls were at the west end of the beach early in the morning and were still there when I left. The other 2 were flybys. This hasn’t been a good fall for Franklin’s Gulls along the Lake Michigan lakefront, probably because we haven’t had many storms with strong west winds. Link to eBird checklist below. This entry was posted in Fall Bird Reports and tagged Cattle Egret, Franklin's Gull, Gulls, Herons, Icterids, Rusty Blackbird on November 8, 2016 by rhughes. 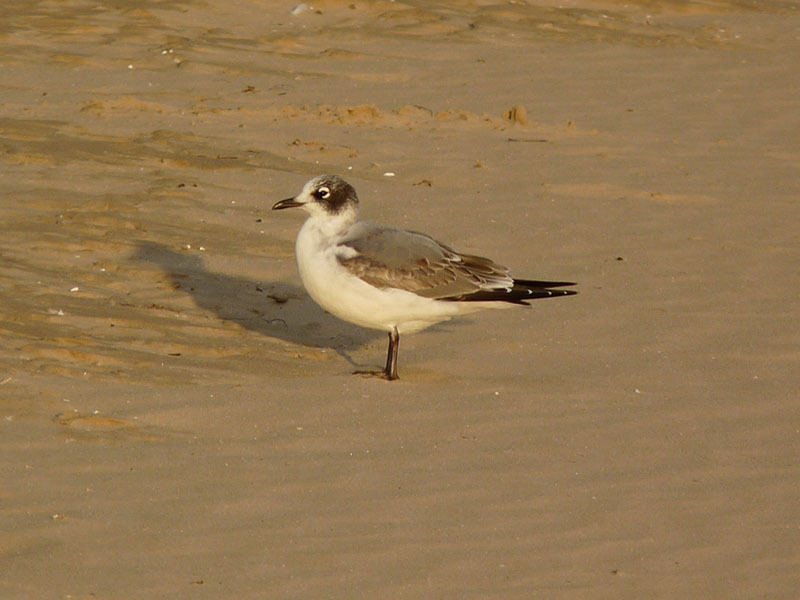 A second cycle Lesser Black-backed Gull was at Montrose Beach on August 23. Another or the same Lesser Black-backed Gull was at Montrose on July 11. Lesser Black-backed Gulls are rare but regular at Montrose. 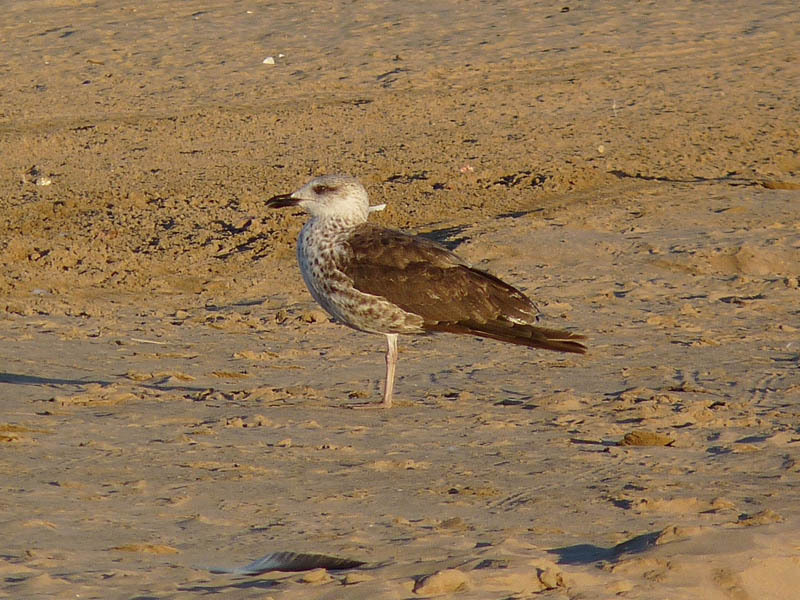 This entry was posted in Summer Bird Reports and tagged Gulls, Lesser Black-backed Gull on August 24, 2016 by rhughes.